Being a freelancer is filled with uncertainty. One moment you’re earning good income and handling multiple projects; the next you can be in the red due to a lack of clients. However, that doesn’t mean you just accept things as they are. If you can reduce the risks of freelancing, you will be one step — or even several — steps closer to long-term success. As a freelance graphic designer, understand that you’re your own boss — which means you have to manage freelancing like a business. Everything has to be handled by you, from promoting your services to taking care of accounting. If you’re in this business long enough, you will notice that a lot of freelancers are actually making money with substandard designs. Why’s that? The truth is — business sense is often more important than talent. Of course, you must have sufficient skills to produce work that meets the client’s needs. However, having the business chops will allow you to go much further as a freelancer. Invest time to work on your business, rather than in it. You might be handling a lot of projects and making lots of money. However, the internet is a fickle thing. If you rest on your laurels and don’t plan out your business, your competition will overtake you in no time, especially with so many graphic designers out there. On the other hand, successful business owners have clear visions of what they want to achieve, with plans detailing the goals and objectives to get there. They provide good service, and in doing so, grow their businesses through word of mouth. Most importantly, they never give up and will always find creative ways to overcome challenges. It’s not that hard to develop the same characteristics. For a start, plan ahead and set goals that will bring your business to the next level. From there, focus on improving your services and delivering value to your clients. At the same time, don’t forget to provide good support and communication. You might not realize it now, but client relationships go a long way. If the client can see that you’re sincere in providing them with design solutions and aren’t just there to cash in the money, most of them will come back and — even better — bring referrals. Graphic design is a field that’s constantly changing. Visual trends come and go. As a freelance graphic designer, it’s important that you always strive to improve your skills and increase your knowledge on a regular basis. Better yet, take time to pick up new skills and stay on top of the newest trends. In the long run, a better and more diverse portfolio will attract clients who are willing to pay more. Improving as a graphic designer means holding your work to a higher standard. As such, don’t be afraid to ask for feedback from other designers in the field. Constructive criticism is never a bad thing; it guides you away from bad practices and towards good ones. It’s no secret that you will face a lot of stress as a freelance graphic designer. So many unexpected things can happen to make your day a bad one: a client refuses to make payment; you don’t have any projects lined up; a design doesn’t meet your expectations … the list goes on. In the midst of worrying, you might not realized that time — and life — have just passed you by. Taking a break can be difficult to justify, but it is important to do so for your mental health and social relationships. Freelancing can make you feel withdrawn and lonely. As such, be sure to spend quality time with your friends and family. Also, reward yourself with a weekend getaway and consider investing in hobbies unrelated to graphic design. Doing so will make you a happier person, which will result in better productivity in the long run. As stated earlier, freelancing is a career that’s filled with uncertainty. Projects come and go. You will have days when work just isn’t coming your way. Unlike a traditional job, you don’t have anything to fall back on in terms of income stability. As such, you should develop some form of passive income. After all, you can only devote so many hours in a day to work on projects. For a start, consider selling creative products on marketplaces like Envato, which is very popular among designers. If you like to write and share your ideas, creating a design blog is a good choice as well. In any case, start as soon as possible since you never know when the extra income might come in handy. Freelancing means losing all the benefits of a traditional job: health insurance, retirement savings plan, paid vacations, and more. However, such benefits are really just monetary items. As employer and employee, you have to make sure that you’re making enough to cover such benefits. If not, then you probably aren’t charging enough. At the same time, you can design a benefits package based around your lifestyle, and even save some money in the process. For example, you can choose health insurance with a high deductible to save on monthly premiums. Likewise, by learning about the investment options available, you can make smart choices and achieve financial independence faster than with a typical company plan. In addition, you should understand the importance of developing frugal habits. By living simply and economically, you will have less financial stress, and can instead focus your energies into achieving success in freelancing. Yes, that’s right — you must pay your taxes. It’s imperative that you learn about the tax policies for self-employed individuals based on where you’re located. For example, in the United States you have to withhold your taxes and account for SET (Self-Employment Tax). To reiterate, you must never evade taxes. Doing so will cause you a lot of trouble in the long run. There are many freelance graphic designers who fall out of the game entirely due to tax problems. Don’t be one of them. Instead, pay your taxes on time and seek assistance as soon as possible if you can’t. 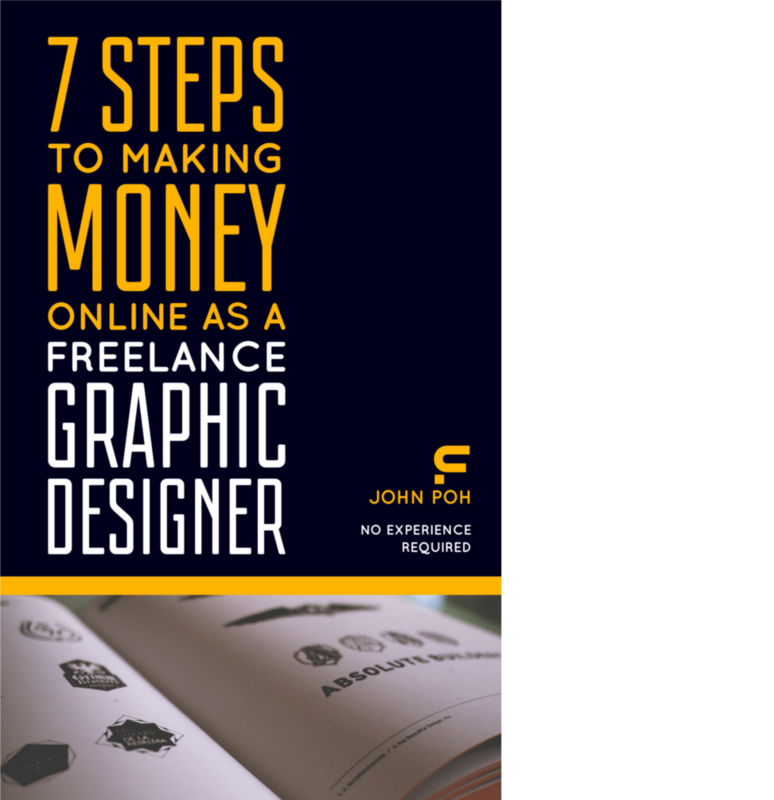 Earning well as a freelance graphic designer usually means taking on as many projects as you can. However, there are times when it might be wise to turn down a project. Maybe you can tell from first impressions that the client will be difficult to work with. Or maybe the job is uninteresting and doesn’t challenge your creativity. In short, it’s about weighing your pride and passion as a designer against the money you stand to make. Everyone has different standards, and you know yourself best. At the same time, don’t overwork yourself by taking on too many projects. One of the biggest mistakes you can make as a freelancer is being passive. Clients won’t come your way if you don’t actively promote your services. In fact, the more active you are in seeking the clients you want to work with, the less you will have to deal with bottom-feeders who only want to save a few bucks. Sometimes it’s best to dive right in. As the saying goes, the early bird catches the worm. Since there are so many marketing techniques out there, you have to do your research and start promoting your services as soon as you can. From there, find out what works and what doesn’t, then alter your strategy accordingly. Marketing is always changing, so don’t stop learning and getting better. In reality, overcoming uncertainty as a freelancer requires a lot of discipline, determination and dedication. However, if you aren’t afraid to follow your dreams and put in the work, then success will surely follow.